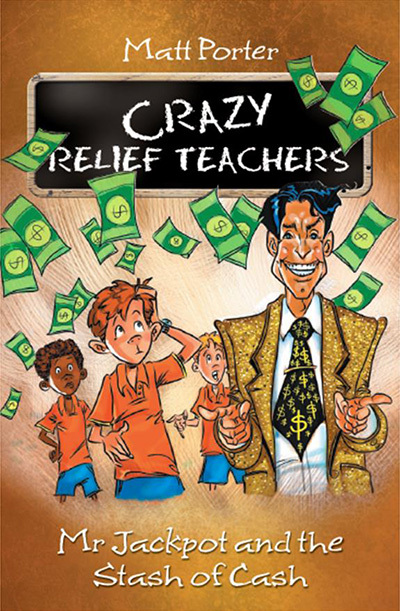 The third instalment in the Crazy Relief Teachers series sees Mr Jackpot, the gregarious gameshow host, take charge of Grace 6B at Outback Creek Primary School. With his cheesy one-liners and crazy gameshows such as Wheel of Misfortune, Disaster Chef and Deal or No Deal, the students soon conclude that Mr Jackpot’s visiting on secret gameshow business. 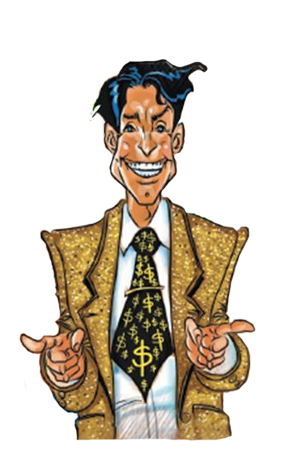 Is Mr Jackpot visiting Outback Creek to give away millions as part of a new TV show called Stash of Cash, or is he another Crazy Relief Teacher? Will the Outback Creek PS footy team be ready for the Outback Creek Cup footy tournament? Will Pete get his footy back from grumpy Mr Thompson’s yard? Click on Mr Jackpot if you dare!